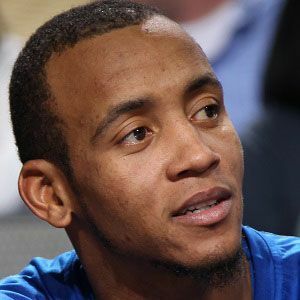 Quick and high-scoring NBA shooting guard who played for the Golden State Warriors from 2005 to 2012. He spent a few seasons each with the Milwaukee Bucks and Dallas Mavericks before signing with the Indiana Pacers in 2015. While playing for Lanier High School in Jackson, Mississippi, he scored 42 points in a game against Oak Hill, who had both Rajon Rondo and Josh Smith. He was named the NBA's Most Improved Player in 2007. He married Juanika Amos in July of 2010 and he has two children. He played alongside star forward Dirk Nowitzki on the Mavericks from 2013 to 2015.